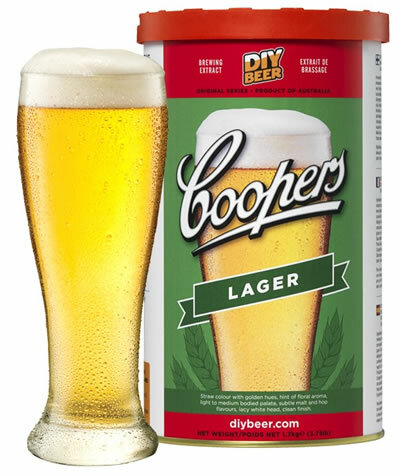 Coopers Lager is produced using the finest Australian premium malted barley and Tasmanian Hops. When fermented these ingredients combine to produce a full-bodied Australian Lager that is distinctive and refreshing to the taste. Beer kit primer with heading powder.